Over 25 models came out of the Seamaster factory but the Seamaster 27 was the most popular. Between 1965 and 1974 they built 600 of these craft. Good handling and good accommodation contributed to its success . 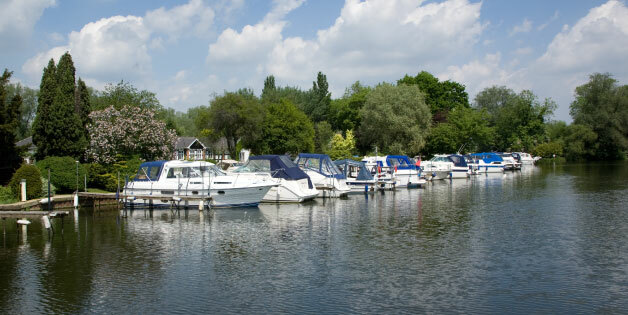 Some of the boats were built as bare hull and superstructures to be fitted out by other yards, most notably was Richard Springfield of Maidenhead who produced the Springfield 27. Primarily a river cruiser the Seamaster 27 is capable of estuarial and coastal cruising in fair weather. The accommodation consists of 4 berths in 2 separate cabins, the forward cabin has 2 single berths, and the saloon has an L shaped dinette that converts to a double. The craft has a large galley and large separate toilet compartment. The roomy cockpit was fitted with a helmsman seat and bench seating across the stern. The hull shape is medium to shallow V with a three-quarter-length shallow keel. The craft were generally fitted with various manufacturers single inboard petrol or diesel engines. However, a twin option was available.